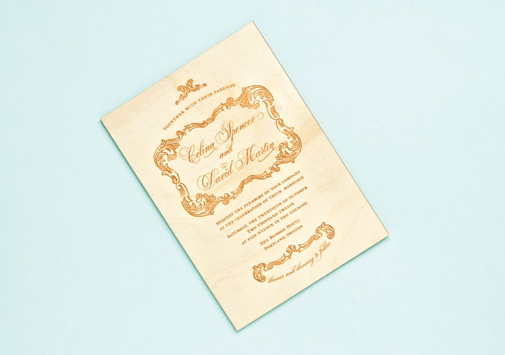 (above) Who needs stone when you can set your wedding details in organic plywood? After sanding and applying a slight coat of varnish, Paper Bloom in Northeast Portland laser engraves the plywood with the couple’s names and all the pertinent wedding information. $15 per invitation. (above) Impress your guests with a sneak peak of the feast that awaits them. 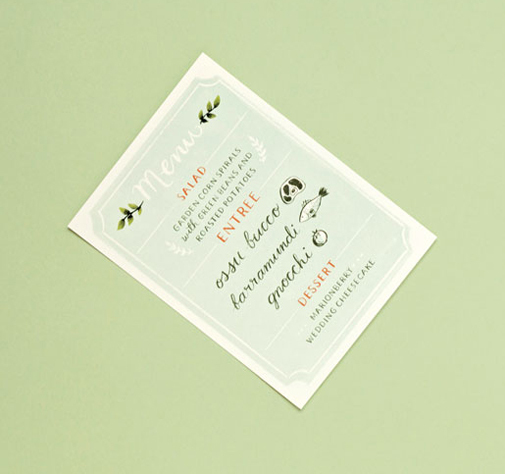 This menu’s sentimental colors, all illustrated by hand and designed by Portland’s Quill & Fox, adds just the right amount of refreshing flair to your reception tables. Each digitally duplicated design is completely customizable and printed on recycled paper. $1.85 per menu (minimum order of 100). 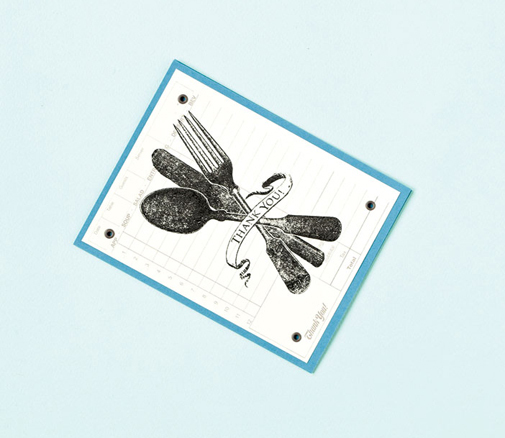 (above) Perfect for the Portland foodie-themed wedding, Scott Ballard of Two Guitars whipped up this Thank You card using a Gocco screen printer. The text is hand-printed at his studio in Northeast Portland and four brown eyelets are used to secure the design on the fold over card. $30 per 12 cards (discounts available for larger orders). (above) Southeast Portland’s Anders Printing takes aim at envelope lining and the result is heavenly. The digitally printed lining is adhered inside the envelope, and on the outside, the guest’s address and a return address. Inside, the invitation (in its own laser cut pocket) and RSVP card are banded together to create an attractive package that will delight every mailbox. $7.25 per set. (above) Guide friends and family to their tables by the soft, glimmering candlelight of these distinct, laser cut table numbers created by Candy Spotting in Southeast Portland. 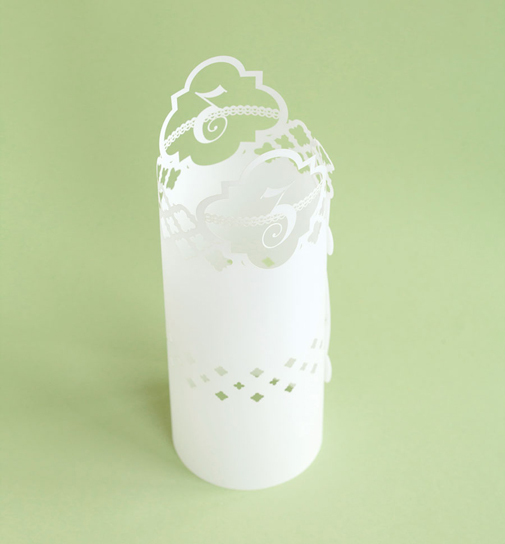 Each luminaria, made of heavyweight translucent paper, is made-to-order and customizable. Consider commissioning your monogram or silhouette. $90 per set of 12. Get more from Oregon Bride! Follow us on Twitter and Facebook. After years of designing custom invitations and paper goods, Southwest Portland-based Tie That Binds’ Mekala Tinnin has expanded her services to include event design. Take rustic up a notch with luxurious fabrics, rich woods and wow-factor displays.